Pots and plants with metal holders can leave stains. 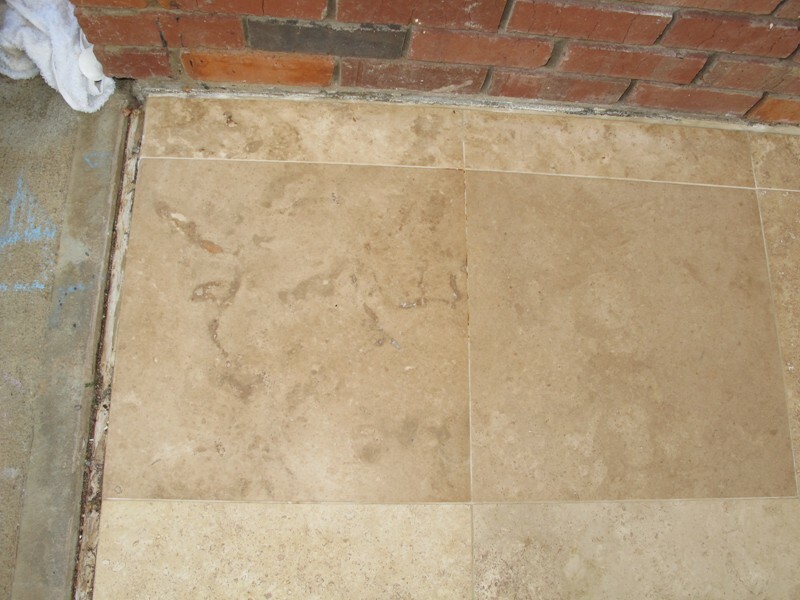 Here are photos of a rust stain on a travertine entrance and after the area had been corrected. 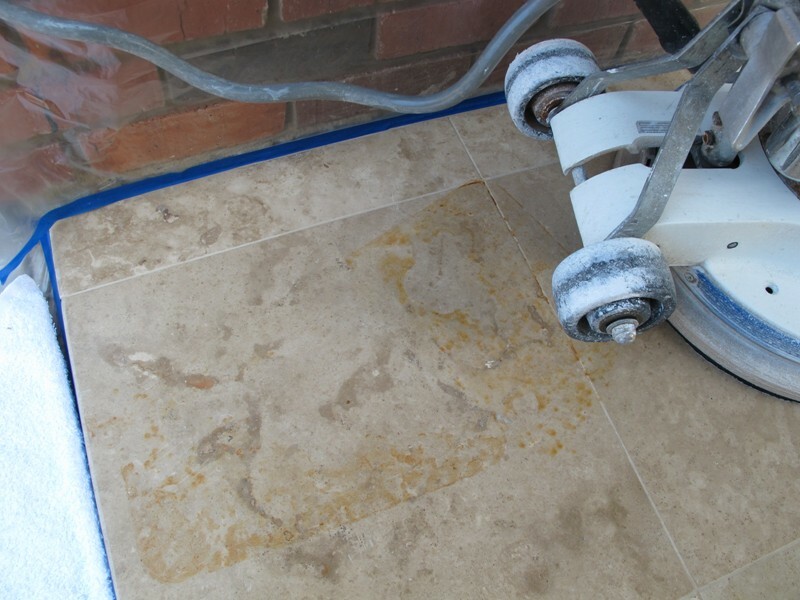 To have your rust stains on natural stone removed, contact us at 292-1266 to schedule an appointment.